All we like to create a category of our stuffs, From books to biscuits. Every where we find category so that we will have easy navigation. Keeping this in the mind we worked on the look of this site. The main feature I would like to talk about is that we have categorized all the post in to 20 unique sections, Which we call as label. 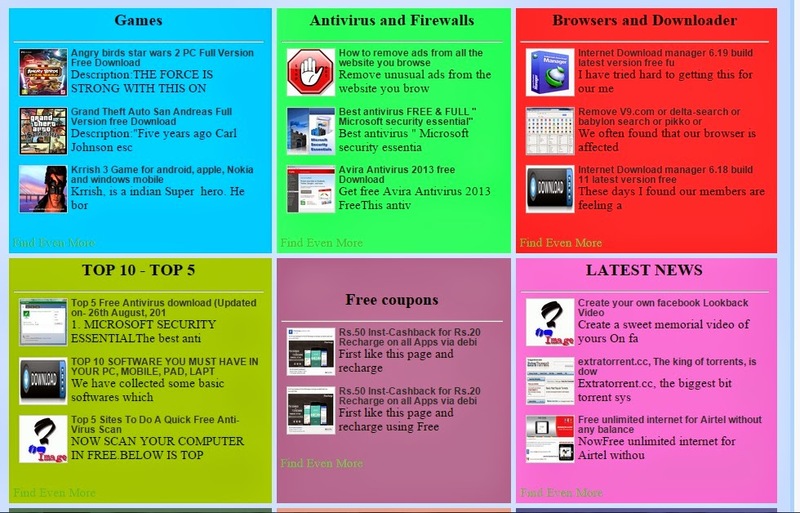 Starting from Games, Antivirus and firewalls, Browser and downloader, Free coupons, tricks and tips, latest news etc. click on the top HOME button to see all the labels. We have something interesting about our search box. We have two search box. One is at top right side named as "Search this site", which is our customized one. And one is at bottom right side named as "search this blog", which is a default one. So, the ques is why we have added two search boxes.? Answer is simple. If any one is not able to use our customized search engine they can use default one. 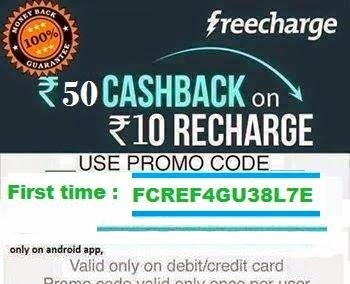 We don't want to loose our users. Second ques, What is the need of customized search engine ? Answer : It is more powerful and more intelligent than default one. 1. When we are on any post or in home and we are typing "My page", it will search a post with "My page". 2. 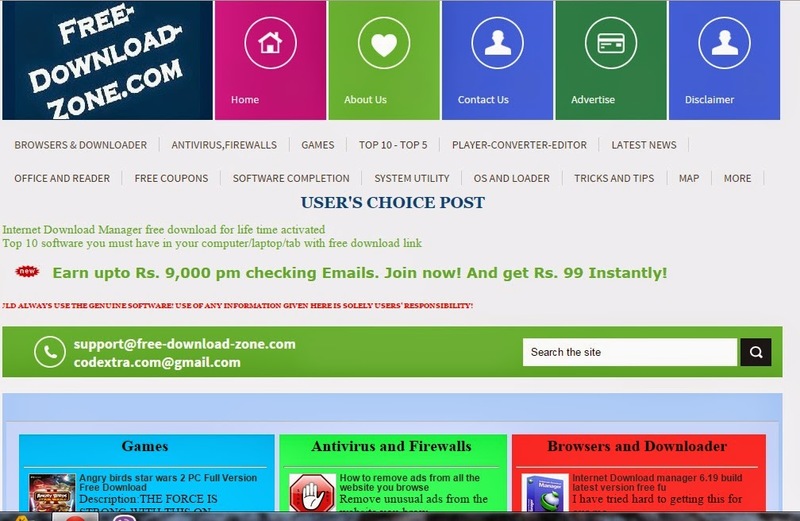 When we are in any page, URL is like : free-download-zone.com/p/home.html. Here "/p/" denotes page, and we are searching "MY page", then it will search for page with name "MY page". 3. When we are in label. URL is like : free-download-zone.com/search/label/Android. Here /label/ denotes label and we are searching "My Page", then it will search label with name "My Page". So, One search engine can search all the three types of tags. Hope you guys will find this easy, interesting and useful for you and your computer. And you will share this with your friends. Please like us and share our website to help us. We will be thankful to you all the time.